Model: Nowadays it almost feels like buying a flagship phone, especially an Android flagship, does not make any sense. Reason? Let’s face it, there are new cheap Android models each day that can fulfill an average user’s needs. The Vernee X1 is one of these devices. Considering the fact that the Vernee X was just released a few months ago, it is easy to realize that cheap device market is also becoming polluted by new models and makes it hard to make a choice. Leaving the Vernee X models aside for a while now, let’s focus on the X1 model. The very first question that I ask myself when I review a smartphone is “Would I use it everyday?”. For Vernee X1, the answer is definitely a yes. Why? The main reason is the battery life. I’m a heavy user, I spend almost all day on my phone; reading/writing emails, listening audiobooks/music, watching shows on Youtube or communicating with my team over Slack, whatsapp etc. So the main concern for a user like me is the battery. With the Vernee X I can go around a full 2-day cycle. That is amazing. With 6.200 mAh battery capacity, I can tell it with ease that this is a dream coming true. What about the performance? Helio P23 is not the top notch, but well, on a regular basis my daily phone is an iPhone 6S, so I doubt a regular user would see the difference. Unless you play games, games that require performance, there wouldn’t be any issue regarding to performance. Before moving on to the haptics, I need to mention the price. It is just around 250$ and sometimes there are discounts which reduces the price to 210$ price point, which is to be honest, ridiculous. So what does it lack? First, cameras. Don't expect anything great. Photos taken with the camera are okay. The rear camera is 16 + 5 MP dual and the front camera is 13 + 5 MP dual. From my point of view, they are okay. I mean, come on, you are only paying 250$ max, right? Screen is another point where I need to praise Vernee. It follows the modern trend of providing 18:9 panel with 2,160 x 1,080 resolution. Bezels are small, it has a nice amount of contrast and brightness. 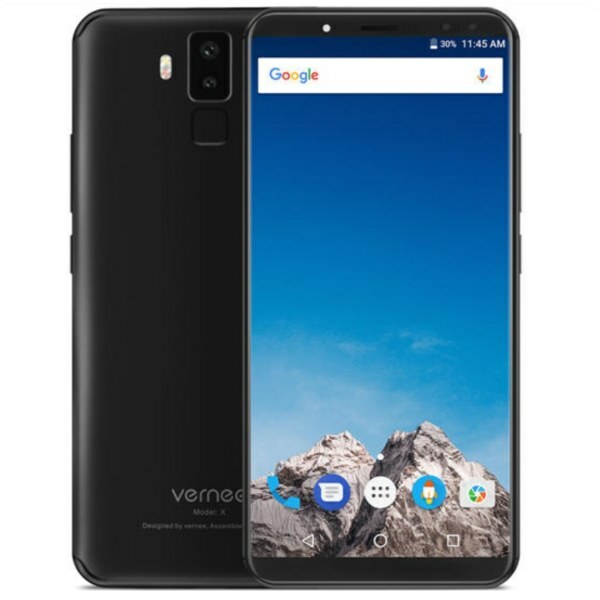 With 6 GBs of RAM, Helio P23 processor, 64 GB ROM and 6200 mAh battery package just for 250$, the Vernee X1 is a must consider. Worst case, it can be your backup phone. Vernee X vs. Vernee X1? Well, the Vernee X comes with 128 GB ROM while the X1 comes with 64 GB ROM. Other than that, both are same in every possible way. This might sound like a joke, but it is what it is. Still, both phones are okay for what they offer.